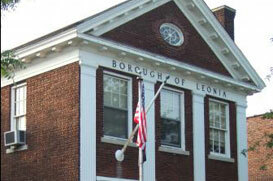 Incorporated in 1894, Leonia is a vibrant borough located at the heart of Bergen County in New Jersey. According to the 2010 U.S. Census, Leonia is home to 8, 937 people, a 10% jump from its population in 2000. This brings about 3,284 households or 2, 519 families. This borough is nestled on the Western tip approaching the famous George Washington Bridge. According to a New Jersey magazine, Leonia ranked 31st in the list of “Best Places to Live” in the country. Leonia practices a borough type of government under the New Jersey law. This includes a mayor and six members of the council. It is slated in the 9th Congressional District. It is also included in the 37th Legislative District of New Jersey. Locals and tourists indulge in Leonia’s wide array of recreational facilities such as parks, shops, theatres, and restaurants. It is home to Players Guild of Leonia, New Jersey’s oldest theatre troupe. The Players has been performing across the globe since the 19th century. Thus, one cannot deny Leonia’s rich cultural attractions prevalent among the community’s way of life. Leonia enjoys convenient access to major transportation roads. NJ Route 93 is the borough’s main transportation service.